The largest and most powerful engine from MAN Diesel & Turbo’s portfolio ever designed and built has entered service. 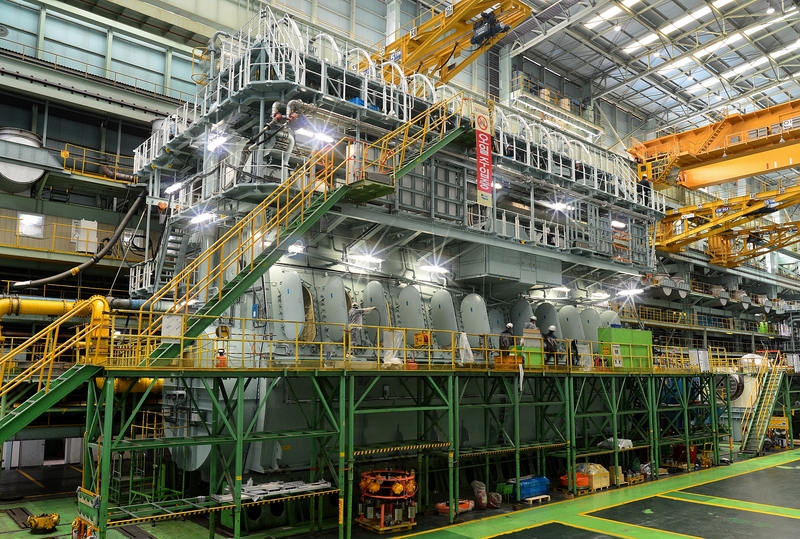 Built by Doosan Engine in Korea and rated at 75,570 kW (103,000 horsepower), the engine is an MAN B&W 11G95ME-C9.5 two-stroke type that acts as prime mover aboard the ‘MSC Jade’. The 19,437-teu container vessel is operated by Mediterranean Shipping Company (MSC), the global container shipping company. Daewoo Shipbuilding (DSME) delivered the newbuilding on 20 May, which subsequently sailed the short tour to Busan. The MSC Jade also features 4 × MAN L32/40 auxiliary engines (2 × 8L32/40 + 2 × 9L32/40 units), each with a single MAN NR34/S turbocharger. Doosan Engine reported the main engine’s initial start during October 2015 and a successful shop-test subsequently followed. 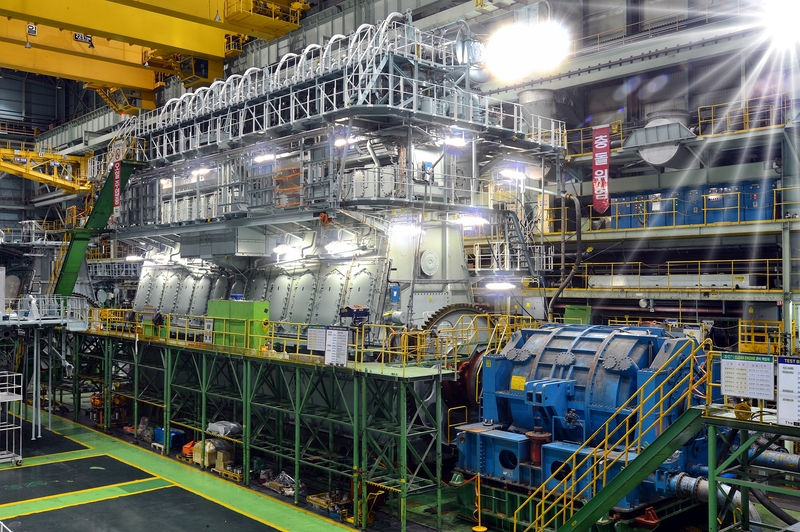 The engine is the first in a series of six ordered by MSC, with a second sister-vessel shortly scheduled for sea trials and two further vessels, currently finishing construction at Samsung Heavy Industries, due for sea trials during June. MAN Diesel & Turbo reports that, since August 2013, 68 × G95 engines have been selected for the ‘large’ capacity container market, that is, container ships ranging in size from 9,000 to 21,000 teu, and in 8- to 11-cylinder versions. 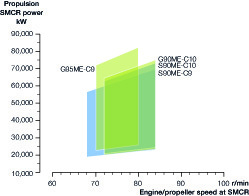 The G95ME-C9 itself is an important part of MAN Diesel & Turbo’s G-engine programme. The engine, with a bore of 950 mm and a stroke of 3,460 mm, provides 6,870 kW/cylinder at 80 rpm and 21 bar MEP (in L1) and was introduced as a supplement to the successful S90ME-C9/10 engine types, allowing the engine to be further de-rated thanks to the larger cylinder bore and/or fewer cylinders to be installed. Following this trend, as well as those for cost-down and downsizing, the S90ME-C has recently been supplemented with a G90ME-C10 version.